Tanganyika (now mainland Tanzania) became a unitary presidential democratic republic in 1962. 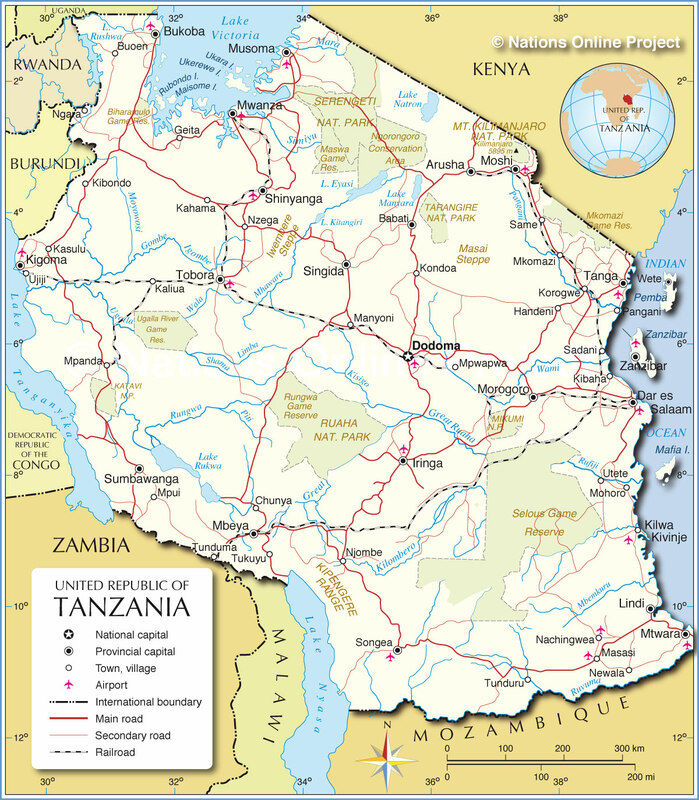 Two years later Tanganyika and the island archipelago of Zanzibar merged to form the United Republic of Tanzania. The country’s Government is based on multiparty parliamentary democracy with the incumbent Dr. John Pombe Magufuli elected for a five-year term as the fifth President of the country in 2015. Dr. Ali Mohamed Shein is serving as the 7th President of the Revolutionary Government of Zanzibar. Regionally Tanzania is a member of both the Southern Africa Development Community (SADC) and the East African Community (EAC). Tanzania has enjoyed relatively stable, sustained and high GDP growth over the last decade averaging 6.5% per annum. Recent performance has remained strong being 7% in 2015, with estimates predicting similar levels for 2017. Growth has been led by the service, transport, manufacturing, mining, communications and finance sectors. Tanzania intends to become a middle-income nation by 2025, with currently concentration on the second Five Year Development Plan 2016/17-2020/21 (FYDP II). The FYDP II focuses on poverty alleviation through improving education, infrastructure, health services and agriculture as well as effective and efficient governance through increasing government revenue and combating corruption. Energy production and distribution are highlighted in the country’s plan as being central to the promotion of socio-economic development. Efforts being centered on increasing diversification in the electricity mix from hydropower to natural gas and reforms of the power utility Tanzania Electric Supply Company Limited (TANESCO). The strong economic performance has resulted in socio-economic developments in the country. Despite these great strides challenges remain for the Government to ensure that the economic growth results in poverty reduction across society. The World Bank reported a decline in the poverty rate from 34% in 2007 to 28% in 2012, though the absolute number of Tanzanians living below the national poverty line remains unchanged across the same period due to population growth. Building from this point the country faces two related and significant challenges that will need to be addressed in the coming years. Firstly the 800,000 youth entering into labor force every year, in addition to rapid urbanisation faced by major centres. Particularly the population of the country’s commercial capital of Dar es Salaam face high unemployment rates in conjunction with pressured public service infrastructure for transport, electricity, water and sewerage. The private sector has been identified as having the potential to play a key role in overcoming these development challenges.